I am sure you enjoyed the past two postings in which two of our newly ordained priests shared their life experience and how they felt God’s call to the priesthood. The experiences were quite diverse and striking, and it is my hope that they will encourage others to follow in their path. 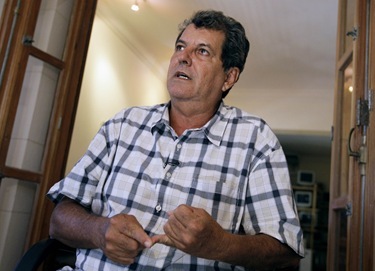 This week I was saddened by the news of the untimely death of Oswaldo Payá, a Cuban activist for human rights and political freedom, who died tragically in an automobile accident Sunday in Bayamo, in the Granma Province in Cuba. He was a very courageous man, who was very dedicated to his Catholic faith and worked for the betterment of the whole community in Cuba. I met with him on a couple of occasions and had great admiration for him. His death is a sad loss for Cuba, but we pray that his legacy will continue, and that other Catholics, and people of good will, step into the breach. I was very pleased to see that the Holy Father issued a statement of condolences for the death of Oswaldo. I was also happy that the secular newspapers took note of his passing and documented his outstanding achievements. Also this week, two very good friends of the archdiocese passed away. Bill McCall lost his wife Jean. 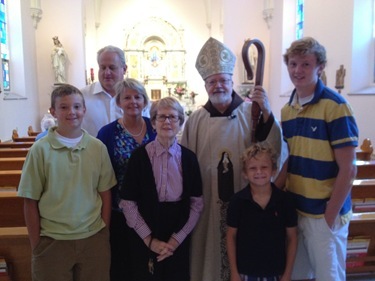 Also Jack Conway — who has long been involved in the life of the archdiocese — passed away. We offer prayers for their eternal rest and consolation and strength of their families and loved ones. 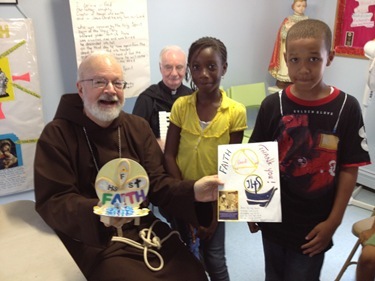 The Archdiocese of Boston is very proud of the tradition that we have of mission animation and support for the missions. As I always remind people, when we celebrated our 200th anniversary and invited the Bishop of Bordeaux — who was the successor of Bishop Cheverus — they brought us copies of letters between our early bishops and their propagation of the faith office. They documented the kind of support that we received from the Church in France. Now it is our turn to help the new dioceses and the Church that is emerging in different countries. Cardinal Cushing, who himself was a Director of the Propagation office for a long time and founded the St. James Society, has certainly given us wonderful impetus here in the archdiocese for this ministry. Of course we are very grateful to Father Rodney Copp and Maureen Heil and the staff of our propagation of the faith that does so much. 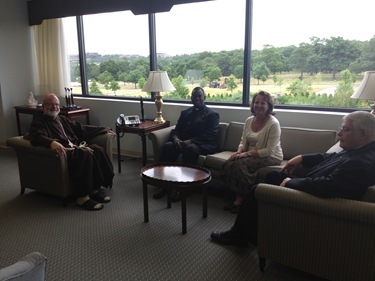 Having them here in the pastoral center gives me an opportunity to meet with some visitors that are here from the missions. 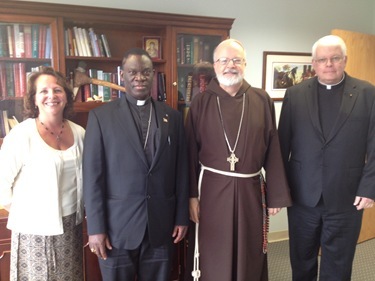 This week we had not only a bishop from Uganda, Bishop Charles Wamika of the Diocese of Jinja — we have many ties with Uganda, including a very active Ugandan Catholic community here in the archdiocese — but we were also visited by Father Bernard Makadani Zulu, National Director of the Propagation of the Faith in Zambia, who is collaborating a lot in our efforts with the holy childhood in that country. 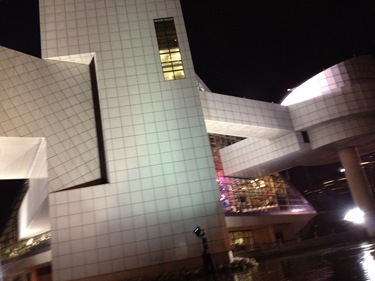 This weekend I went to Cleveland. 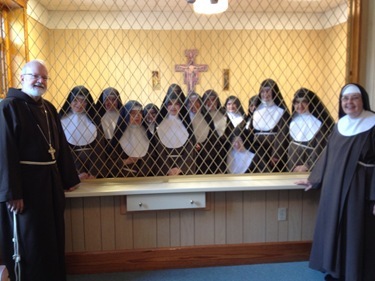 This year we are marking the 800th anniversary of the founding of the Poor Clare nuns, so I was invited to celebrate a Mass for them at the Poor Clare Colettine convent in Cleveland, which is the first permanent foundation of the Poor Clares in the U.S. This convent is where I celebrated my first Mass in August of 1970. 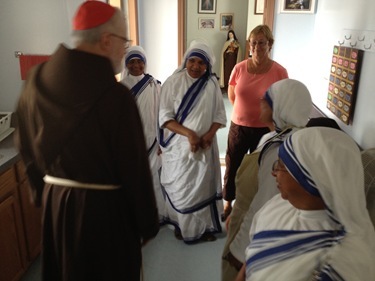 It was a great joy to be back there, to see the sisters, to celebrate with them. 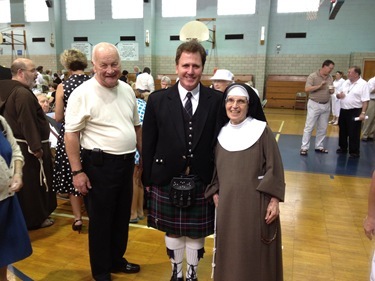 My aunt Therese O’Malley, my cousin Annette and her family —John and her three boys Patrick, Seán, and Matthew — were at the Mass with us. 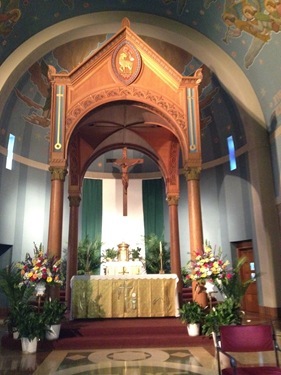 After celebrating Mass for the Sisters, I went across the street to celebrate Mass at the Church of Our Lady of The Angels for the friends and benefactors of the sisters. We had a full church. 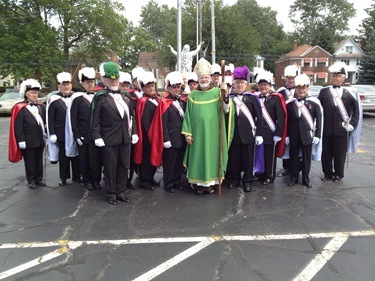 Bishop Anthony Pilla, the former bishop of Cleveland, was there. Three auxiliary bishops also joined me. 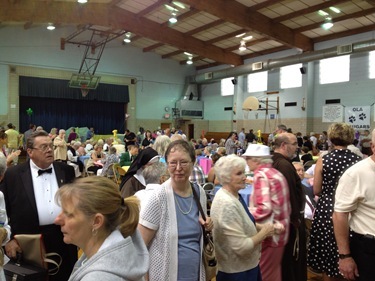 Then afterwards, we had a reception — where they had ice cream sundaes for us! 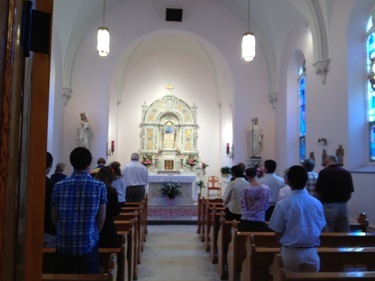 There was quite a big crowd there, so we all celebrated St. Clair and the great gift that her vocation has been to the Church. 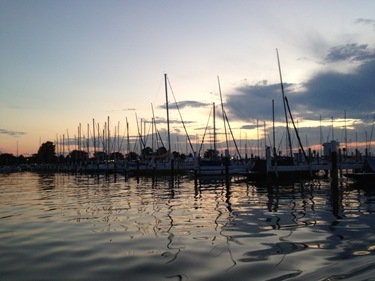 We also went out for a little ride in their boat one night and so there is pictures of the night in Cleveland harbor on the water. 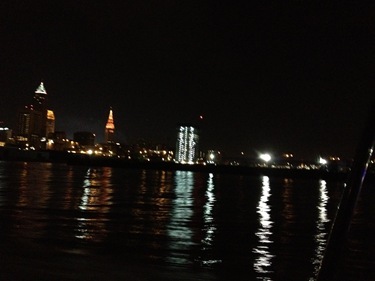 This one shows a view of Cleveland, including the Browns’ stadium which is right off the water. 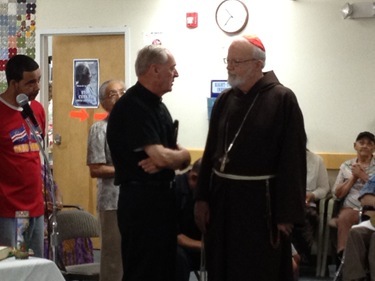 Monday, I had dinner with Bishop Alfred Hughes, Msgr. Cornelius McRae, and Msgr. Francis Kelly at the Cathedral of the Holy Cross. 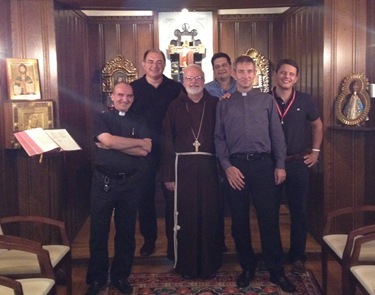 Two of them are working in Rome, and Archbishop Hughes is retired, teaching in the seminary in New Orleans. Of course, Archbishop Hughes was auxiliary bishop in Boston and rector of St. John’s. Msgr. McRae and Msgr. Kelly were both rectors of Pope John XXIII. Summertime is always a wonderful time to make these reconnections. Msgr. Kelly is now rector of Casa Santa Maria at the North American College, and is also the master of ceremonies for the order of the Holy Sepulchre in Rome. Msgr. 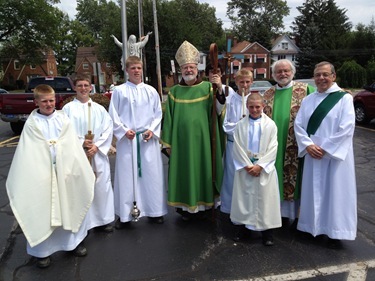 McRae, who retired as Pastor of St. Catherine’s in Norwood, is now the spiritual director of the North American College. 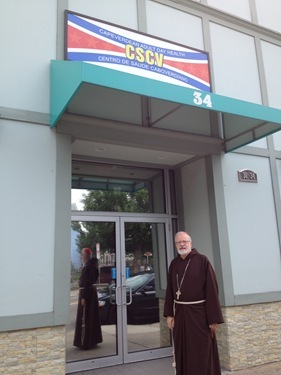 Tuesday, I went to visit the Cape Verdean Center in Dorchester as well as the Missionaries of Charity. 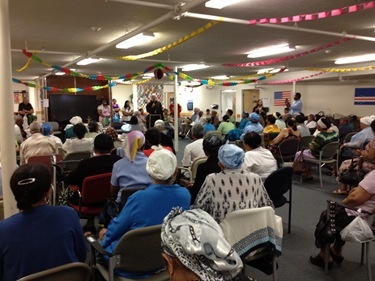 The Cape Verdean Adult Health Center is a large community center for seniors, mostly Cape Verdeans, where they have a Mass every Tuesday. Father Doc Conway celebrates for them. 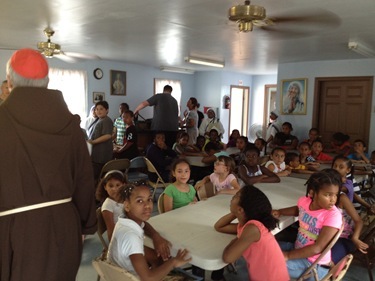 He invited me to come speak with the group, so I did, and also greeted a number of the young people from the Catholic youth center who work there as volunteers. 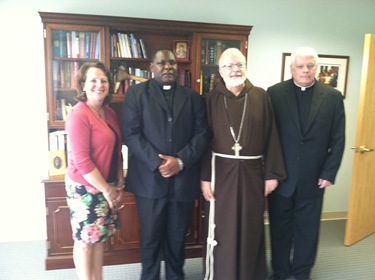 Father Conway has visited Cape Verde and learned their language to be able to serve the people. We are very grateful to him for all that he does, and it was very wonderful to see how much his ministry there is appreciated by the people. 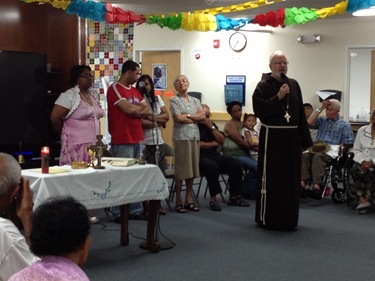 The great faith in the Cape Verdean Catholics I would say is impressive. 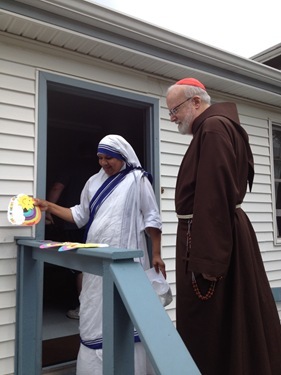 From there I went to visit the Missionaries of Charity. In addition to the shelter that they run for families, they always have a summer program for children in the neighborhood. We are very blessed to have a community of priests with us helping out in the parishes and working at Cristo Rey High School in Dorchester, of which Father Jose Medina is the principal. Their community is an outgrowth of the Communion and Liberation ecclesial community. Their founder is a good friend of mine, Msgr. Massimo Camisasca. We are very blessed to have them here and their wonderful charism working with young people according to the spirituality of Don Giussani is a great blessing for our local Church. The fact that many of them speak Spanish has also been an important contribution to the Hispanic ministry at our parishes. 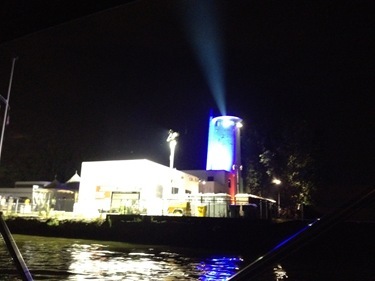 We are very grateful to have them here. 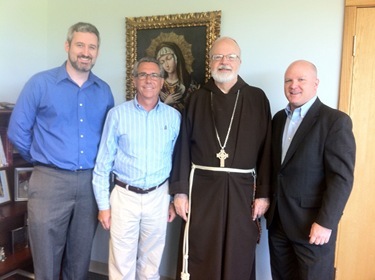 On Wednesday, Jim Wright from The Station of the Cross Radio Network, and our local Catholic Radio station 1060 AM WQOM, visited the Pastoral Center to meet with Scot Landry and myself. One of the things that Jim shared with us was that the network has a new app for Apple and Android devices which has streams for all its affiliate stations. 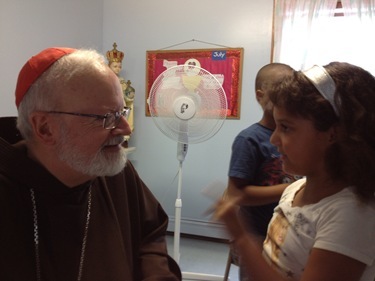 They also have a stream of Spanish-language Catholic content, which Jim hopes is the first step toward having a Spanish-language Catholic station here in Boston some day. The mobile app is a great way to listen to the programs, such as the Archdiocesan program “The Good Catholic Life” which airs each weekday at 4pm. Chris Kelley from 1230am in Worcester, Jim Wright from the Station of the Cross and WQOM 1060am, and Scot Landry, Secretary for Catholic Media. Their visit gave me an opportunity to express our gratitude for the radio ministry which is so important in local dioceses and throughout the country.